This letter has been been sent out to all those who supported Staying Put which achieved enhanced support for young people in foster care. We have sent this letter to them today to ask them to work together again, with us, to achieve the same for the young people in residential care.....because young people in residential care being treated equally alongside their peers in foster care, cannot wait any longer! As you know, the government propose to introduce enhanced support for young people leaving foster care up to the age of 21 from April 2014. Like you, we totally support this opportunity for young people from foster care to receive the care and support they need. What we cannot accept is the discriminatory act of offering this improved support to young people in foster care, including being supported to remain living at their placement until they are 21, whilst not giving the same right to young people placed in children’s homes. We see this deliberate omission as discrimination, a simple issue of human rights. Young people in care who may have the same needs and challenges will receive different levels of support based solely upon where they are placed. In our view, this is unacceptable. Because we see this as such a fundamental issue, we felt there was only one option open to us – to challenge the decision and seek equal rights to support for ALL young people leaving care up to 21, wherever they are placed. Accordingly, we raised a petition to enable people to express their view about this discriminatory proposal. The response was immediately overwhelming. The campaign has received massive support from care leavers, social workers, social work teachers, leading academics, lawyers, providers of residential care and fostering as well as celebrities and other members of the public. The petition was signed by over 3000 people within 10 days, and the number of signatories is still rising. The reason for this overwhelming response was because people know that this is the right thing to do. We understand the strategy behind your supporting this partial outcome was that it would make extending the support to all young people leaving care easier over time. We also understand that supporting young people leaving residential care in the same way may present a complex range of challenges. However, whereas we understand your motives, we don’t believe that introducing such changes for one group of care leavers will necessarily lead to all care leavers receiving the same right within the foreseeable future. 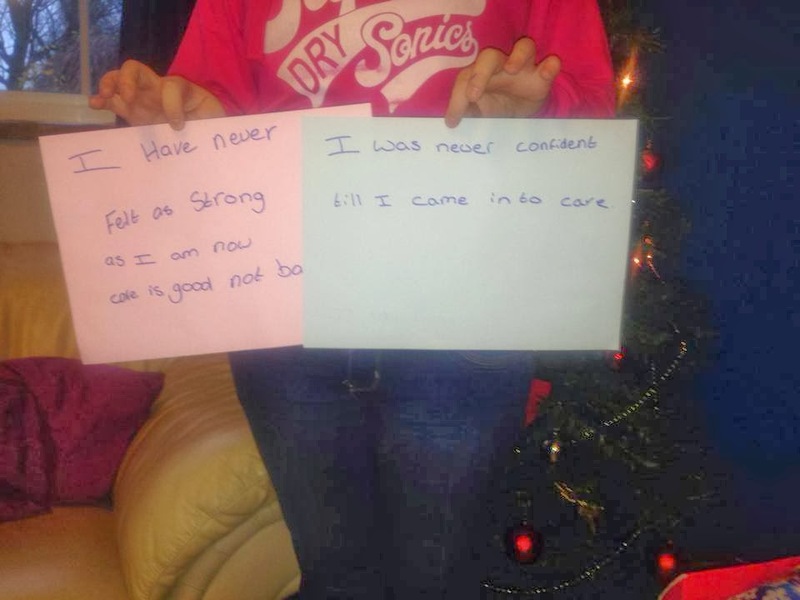 How many young people discharged from children’s homes facing deprivation, homelessness, custody, poverty, exploitation and the range of challenges young care leavers face would be an acceptable number during the period of transition until all young care leavers have the same rights to support? The only possible answer to that question must be none. We hope that that will be your view too. We recognise that we are all on the same side and we all want the same things for young people. We find it totally unacceptable that the nature of aftercare support a young person may receive will be dependent upon their placement, even if their needs are the same. How can such a lottery be acceptable? We are also convinced that this discriminatory move will cause significant difficulties and distress to children who are not fostered. The other day in Select Committee, the Secretary of State Mr Gove said that he was ‘open minded’ and prepared to accept an increased age for leaving care of 21 years of age for all, but only when the quality of children’s homes nationally had improved to an unspecified level by some unspecified time in the future. The situation in foster care was ‘different’ in his view, so young people in foster care could receive enhanced support almost immediately. This confirms our fears. A young person in a children’s home who is settled, enjoys positive relationships and will benefit from remaining there after the age of 18 will not be able to until all children’s homes nationally have reached this unspecified standard within an unspecified time. That could take years, if it happened at all. A young person in foster care who needed to be supported to 21 would be eligible to receive such support – irrespective of the standard of the foster carers or the fostering providers. This is blatantly discriminatory. We believe that ALL young people leaving care should have equal rights to support up to 21. We know from the names of signatories to the petition that many of you agree with us as individuals. Over 3600 people have stood alongside us and called for justice. We ask that you too as organisations support our campaign for equality of treatment. We ask that you too stand alongside us and demand equality. What we are seeking is ethical practice, and is not negotiable. Government must not be allowed to deal with care leavers differently. We recognise that you proudly supported the campaign to gain support for young people leaving foster care up to the age of 21 years. We ask that you now publicly support our petition and our campaign, and declare your support for us on your web sites. Will you do that for the benefit of all care leavers? Our Vision For Equal Rights For All Care Leavers Gains Momentum! Can you believe that we are now in to our third week of campaigning to get equal rights for ALL looked after Children & young people to get support until 21? And together we have nearly 3,500 signatures. We are all connected in this vision that no matter where young people are placed, they should all be entitled to equal provision. Among you, the #ResCareTo21 team, we have young people, care leavers, Social Workers, Professors of Social Work & Psychology, leading academics, lawyers, barristers, celebrities and the public who support this and are standing side by side to raise awareness and campaigning. As we move forward, our support is growing by the hour. Fostering and Residential providers, Charities, Organisations and people who advocate for Children & young people are all passionate about this call out to the Government for equality for ALL young people in care. We should not be surprised by this as we are all passionate about our desire for young people to have better outcomes and be successful rather than featuring in the statistics that we are all too well aware of. With the correct support is place we believe that young people, already facing challenges, will have a better chance of moving into adulthood with a better chance of living a fulfilled life, not one plagued by disadvantage and even more challenges. Young people have clearly been discriminated against through the introduction of this new legislation in April 2014 which is to benefit young people in foster care only. As Mr Gove pointed out, a minority of residential homes are not up to standard and do need to be brought up to standard quickly. We agree! But this is not a good reason to only offer support up to 21 years of age, where required and appropriate, to only those young people who are fostered. This campaign is about demanding equality for all young people in care wherever they may be placed: in foster care or residential care. We look forward to all the Charities & Organisations to follow in the footsteps of others and publicly support our campaign on twitter, Facebook and their websites and Newsletters. Please join in the discussion on Twitter by using #ResCareTo21. Finally, let’s all give ourselves a big pat on the back and thank every single one of us who is supporting this campaign and has signed, shared, re-tweeted or liked. The Every Child Leaving Care Matters, petition was not a knee jerk reaction. The petition includes people who have campaigned for years for improved leaving care arrangements. We acted quickly to inform those who were not aware of this discriminatory practice and let the public know exactly what was being planned by government. Interestingly, the question above asks about different leaving ages, 18 for those in residential homes and 21 in foster care. Yet we are not campaigning for a raised leaving care age to 21, we are campaigning for equal leaving care arrangements to 21 for all care leavers. Mr Gove suggests that children in children's homes won't get this support until an unspecified number of children's homes nationally have improved within an unspecified time - at which point he may consider it. ‘At what point does he make that decision? Is it at the point where every single provision in the UK is rated as 'outstanding' before he allows this to go ahead? I appreciate that there are poor provisions out there, but what about the others that are doing an amazing job and achieving positive outcomes for the young people in their care? Those young people that are happy and content with their placement, that have felt their first bit of stability in their lives. My reaction to his statement is one of utter astonishment. Why not extend the leaving age? Granted it may not be a simple task and there are obstacles in the way. But why write something off before exhausting all avenues? This system only creates negativity towards kids in care! The stigma deepens and the young people are further and further discriminated against. Where’s the nurturing and caring for those at risk in residential care? 'My reaction to Mr Goves comments are that he has clearly discriminated against children and young people in children's homes. This is unacceptable. I feel it will cause even more disturbance and upset for young people. Not to mention creating a two tier system and an under class. Will foster parents have to be outstanding or will they lose the young people they look after? Different placements work better for different young people. I feel very sad for the young people in residential care who will be feeling these comments and certainly don't think they will be celebrating. Young people may become unsettled and want to move to foster care so they get extended support even if they are happy and settled. We ask you to support our campaign for equality of care. Many of you have spoken out on behalf of children in residential care, and even more have signed the petition as individuals. Will you join us in demanding equality for all? We believe what we are seeking is ethical practice, and is not negotiable. Government must not be allowed to treat care leavers differently. We ask that the government support all children and young people in care to 21 years of age. We ask all those who share our view to support our campaign for equality. 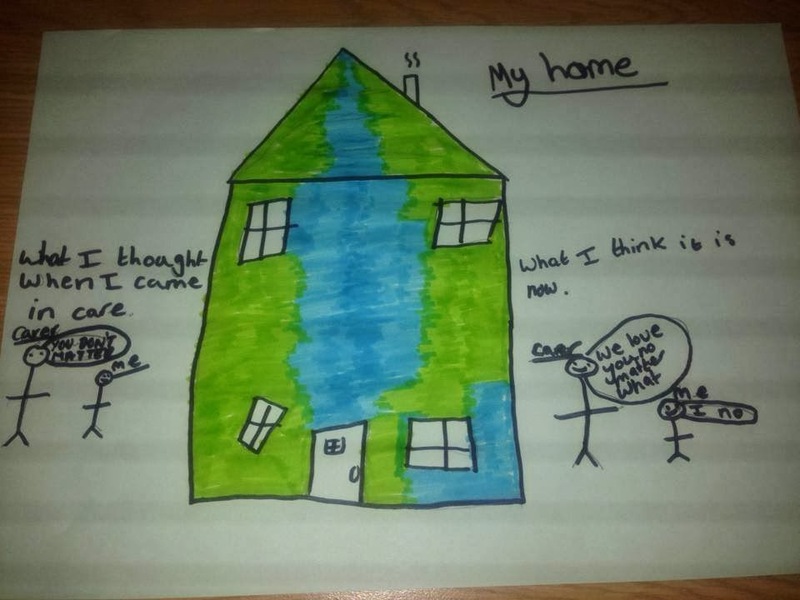 • have an impact on the self-image and confidence of children in residential settings other than foster care, who may feel undervalued and discriminated against by a change which excludes them through no fault of their own. We welcome the change in leaving age for fostered children to 21 years of age. We congratulate the campaigners who achieved this and acknowledge work that took place over several years. However, we feel that to accept this change whilst excluding other children in care is discriminatory and not sufficient. We ask that the government support all children and young people in care to 21 years of age. We ask all those who share our view to support our campaign for equality. It is the least we can do for our children.